Kodak Hero 6.1 Ink Cartridges. Time to change over your Kodak hero 6.1 ink cartridges again? 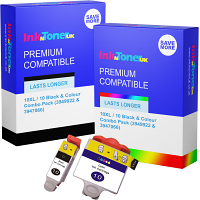 We've got everything to take care of your Kodak ink cartridge needs at the best possible price. Cheap Kodak Hero 6.1 Ink Cartridges. Find your Kodak ink cartridges for the Hero 6.1 printer cheaper and we'll refund double the difference! That's because every order for Hero 6.1 cartridges comes with our unbeatable price promise. 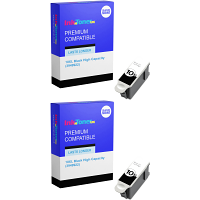 Value Kodak Hero 6.1 Ink Cartridges. 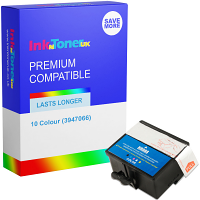 Not only do you get our price promise with every order you place you also get our product guarantee for your Kodak hero 6.1 ink cartridges from inkntoneruk which gives you: High quality printing output Superb colours and deep, crisp blacks Consistent and reliable printer performance Compatible Kodak Hero 6.1 Ink Cartridges. Save more on your Kodak hero ink cartridges without sacrificing on quality with our compatible Kodak ink cartridges for your Kodak Hero 6.1 printer. We promise you'll love the print quality and the price of our compatible Kodak 6.1 ink cartridges. Remember to bookmark us for the next time you want to save money on buying your Kodak 6.1 ink cartridges online. 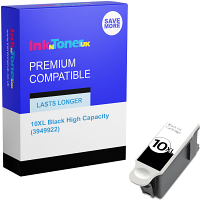 Thank you for shopping at inkntoneruk.